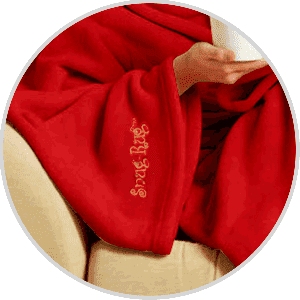 Warm, cosy and lightweight sleeved blanket, with luxury anti-pilling coral fleece, pouch pocket and carry case. A soft and rich winter warmer. 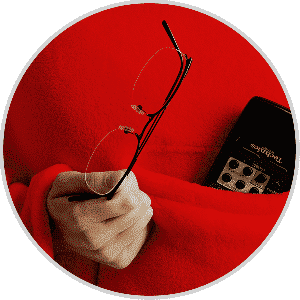 Save on heating costs with this luxury sleeved blanket. Ideal for lounging at home, long journeys in the car, even for camping. Snug-Rugs make a perfect gift for any occasion be it Mother’s or Father’s Day, Birthday, Valentine’s or to simply say thank you! Packaged in fabric carry case with PVC rear and front for travelling and storage. With handy front pouch pocket for your keys, glasses or mobile phone etc. Measures – 152cm x 214cm (60″ x 84″). Made from: 100% Polyester, 260gsm luxury deluxe coral fleece – a richer and softer fabric.